Physicists Sergei Filippov (MIPT and Russian Quantum Center at Skolkovo) and Mario Ziman (Masaryk University in Brno, Czech Republic, and the Institute of Physics in Bratislava, Slovakia) have found a way to preserve quantum entanglement of particles passing through an amplifier and, conversely, when transmitting a signal over long distances. Details are provided in an article published in the journal Physical Review A.
Quantum entangled particles are considered to be the basis of several promising technologies, including quantum computers and communication channels secured against tapping. Quantum entangled particles are quantum objects that can be described in terms of a common quantum state. Two quantum entangled particles can be in different places, at any distance from each other, but they still are to be considered as a whole. This effect has no analogues in classical physics, and it has been actively studied for the past few decades. 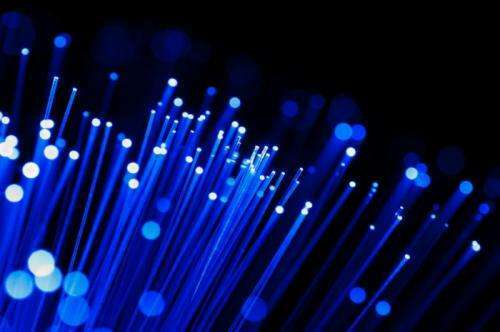 Physicists have learned to entangle photons and have found application for them, including opticalfiber communication channels which are impossible to tap. When trying to intercept the transmission of data over such a channel, quantum entanglement of photons is inevitably destroyed and the legitimate recipient of the message immediately detects interference. In addition to this, quantum entanglement allows for carrying out quantum teleportation, wherein a quantum object, for example, an atom, in a certain state in one laboratory transmits its quantum state to another object in another laboratory. It is quantum entangled particles that play the key role in this process, and it is not necessarily about the quantum entanglement of the atoms between which the transmission of the state takes place. The latter atom becomes absolutely identical to the former one, which in its turn transfers into a different state during the teleportation. If all atoms of an object were transferred like this, the second laboratory would have its exact copy. The laws of quantum mechanics do not allow for the teleportation of objects and people, but it is already possible to quantum teleport single photons and atoms, which opens up exciting opportunities for the creation of new computing devices and communication lines. Due to specific quantum effects, a quantum computer will be able to efficiently solve certain problems, for example, hacking codes used in banking, but for now it is still just a theoretical possibility. In practice, quantum computing and teleportation are obstructed by a process called decoherence. Decoherence is the destruction of the quantum state due to the interaction of a quantum system with the outside world. For experiments in quantum computing, scientists use single atoms caught in magnetic traps and cooled to temperatures close to absolute zero. After going through kilometers of fiber, photons cease to be quantum entangled in most cases and become ordinary, unrelated light quanta. To create an effective quantum computing system, scientists have to solve a number of problems, including preserving quantum entanglement when the signal abates and when it passes through an amplifier. Fiber-optic cables on the ocean bed contain a great deal of special amplifiers composed of optical glass and rare earth elements. It is these amplifiers that make it possible to watch high-resolution videos stored on a server in California from the MIPT campus or a university in Beijing. In their article, Filippov and Ziman say that a certain class of signals can be transmitted so that the risk ofruining quantum entanglement becomes much lower. In this case, neither the attenuation nor the amplification of a signal ruins the entanglement. To achieve this effect, it is necessary to have the particles in a special, non-Gaussian state, or, as physicists put it, "the wave function of the particles in the coordinate representation should not be in the form of a Gaussian wave packet." A wave function is a basic concept of quantum mechanics, and Gaussian distribution is a major mathematical function used not only by physicists but also by statisticians, sociologists and economists. Quantum mechanics differs from classical mechanics in that there are neither material points, nor clearly specified boundaries for bodies in it. Each object can be described by a wave function – each point in space corresponds to a complex number at each moment. If this number is squared* one may find an object at a given point. To get information on the momentum, energy, or other physical characteristic, the same wave function has to be exposed to a so-called operator. * In fact, since the amplitude is expressed as a complex number, it is necessary to multiply the numberby a complex conjugate. This detail was omitted due to reader unfamiliarity with complex numbers. Gaussian distribution is a function that in its simplest form (without additional coefficients) looks like e-x2. In diagrams, it appears as a bell curve. Many processes in nature are described via this function when the results of observations are processed using mathematical methods. Ordinary photons, which are used in most quantum entanglement experiments, are also described by a Gaussian function. The probability of finding a photon at a given point (a translation of the expression "in the coordinate representation") first increases and then decreases according to the rule of the Gaussian bell curve. In this case "it would be impossible to send the entanglement far, even if the signal is very strong," Sergei Filippov told MIPT's press service. Using photons whose wave function has a different shape should increase the number of entangled photon pairs reaching the destination. However, this does not mean that a signal could be transmitted through a very opaque environment and at very long distances. If the signal/noise ratio falls below a certain critical threshold, quantum entanglement vanishes in any case.